Renay is a bit smug when she walks into some districts for training. She can identify the ones who work secondary from the ones who work elementary quite quickly. It’s because the ones in secondary mostly know how to take notes. They probably will take notes in the training because that’s what many of them do day in and day out. Taking notes is a serious business of contemplation in secondary school. And far too many paraeducators may have missed this skill in secondary school or any school they took after. Academic success with notes actually comes with discipline. And taking notes is one way to develop this. There are three main ways to take notes. And all can be modified for a student to at least learn to pay attention to a teacher while they are instructing. Be prepared to re-write your notes before copying to hand them over to a student. This surprises even some of the most skilled note takers we’ve spoken with. Sometimes there needs to be a drawing or a picture added, or maybe some vocabulary word suddenly becomes important. 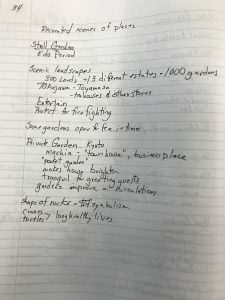 Going to a second draft of the notes helps make you aware of that information. This also allows a paraeducator to take in the information dump and then sort it into categories to decide what may or may not be important. Use color. Highlight headings, draw pictures. Use pictures. Use pictures. No, we’re not mentioning it because we made a mistake. Pull out your device and use it to get pictures for the kids of the instruments of the era if you need to. Yes, every student can take notes. No, not all students can get all the notes down, but some of the notes are useful. For students who are still learning to write, they can write the date and maybe one or two key words. For students who may not have the ability to write, provide them with notes ahead of time, even the slide deck if it is available, and they can circle or highlight the vocabulary word as it comes up. More advanced students may need fill in notes. Use the notes to review with the student prior to a test. Students who are allowed notes on all their tests should be using their notes; for students who rely on notes from peers or paraeducators should have highlighted their notes or found ways to add to their notes to make it meaningful to them. This method is probably the method most folks are actually familiar with. Our parents did it this way, their parents did it this way. We have some variation of this method stored in our deep seated fear of academically missing something. This is not a promising method, and it causes burn out quite easily. You can miss details in this method, you can miss the opportunity for big ideas. This is also a method that may have some organization but really isn’t promising in that regard. In a pinch, this is the best method that leads to the next methods. Cornell Notes are a very effective way of organizing notes. Students following the AVID method will also re-write notes, and examine their notes for potential test questions and write summaries. For students who cannot form Costas Questions, providing them question samples to choose from has been affective. For students who have trouble with summaries, giving them the sentence frame “An important thing [about the topic the notes are about] is …” and having them finish the sentence. It is not a preferred method, but it gives students a chance to reflect some time later, which is key to using notes. One of the hallmarks of Cornell Notes, it requires the note taker to be brief and direct. This is something most students are already very good at. 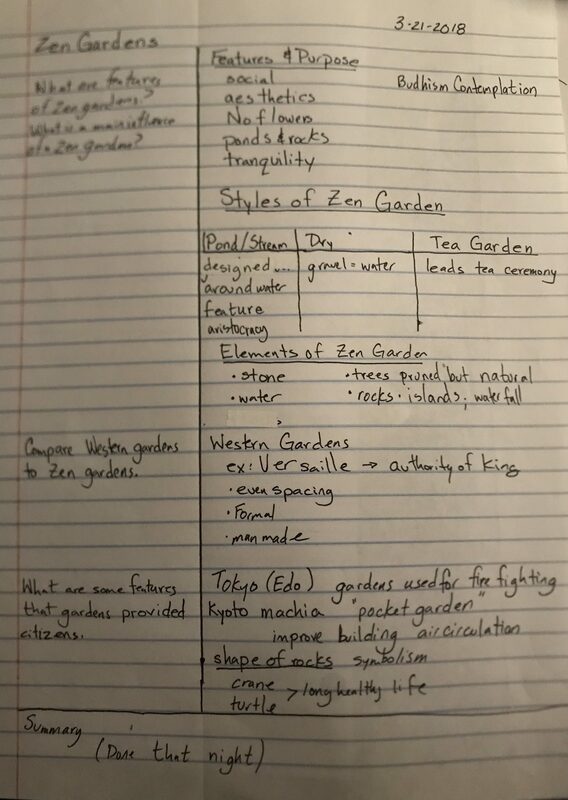 Though Cornell Notes follow strict patterns, they also allow for informal writing. Phrases serve a significant purpose or even initials of main ideas. In the ideal world, no one needs the templates as the student progresses, but for some students the lines matter a lot. Especially for students who are addressing needs with OT, the lines give them the visual space that doesn’t happen on a blank sheet of paper. 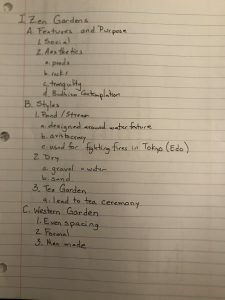 We like this format of note taking because it’s about connecting ideas. For students who are still learning to write sentences, this is nice because it can give students a chance to focus just on vocabulary words and arrange them in a layout that might make sense to that student. 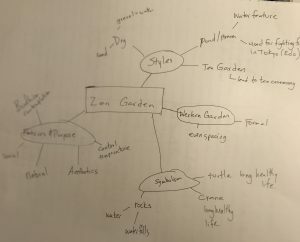 For some students we provide templates of brain storms. Some text books are awesome and provide them for you to copy. This is also a place where digital technology provides a method of best use for some students. Microsoft Word has many layouts embedded into Word. 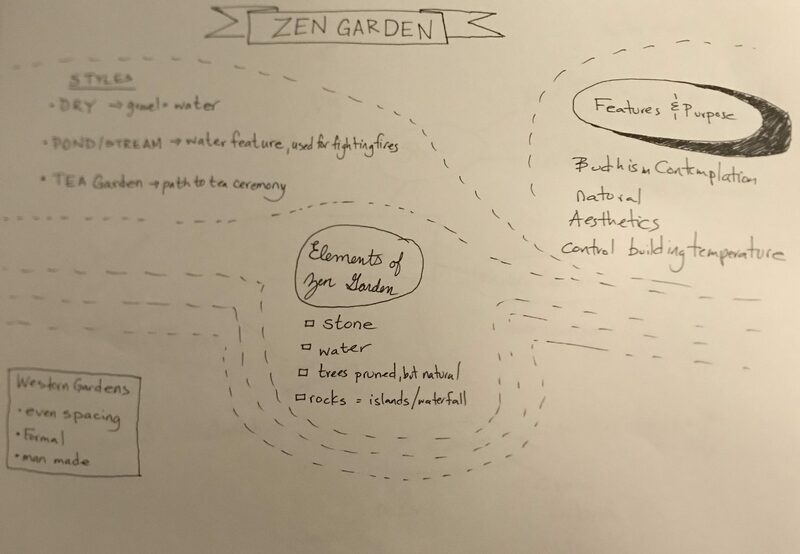 Using that layout can help eliminate the question of how ideas should be connected for some students. Additionally, the typed text can help some students overcome the process of physically writing. 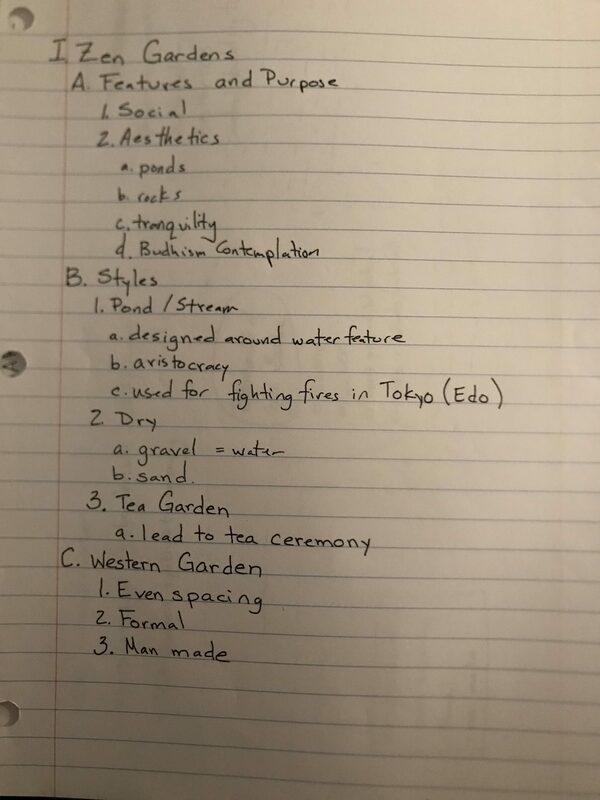 We were looking up styles of notes, and we were surprised to see that this was the least popular format of note taking. Perhaps because of the pattern of starting with Roman Numerals for the headings and then providing two lines of evidence for each subheading is sometimes difficult to keep a pattern with. This is useful for notes from a text book. It lets students digest one paragraph at a time. As a method it is time consuming to read, synthesize, and then summarize in a short sentence. 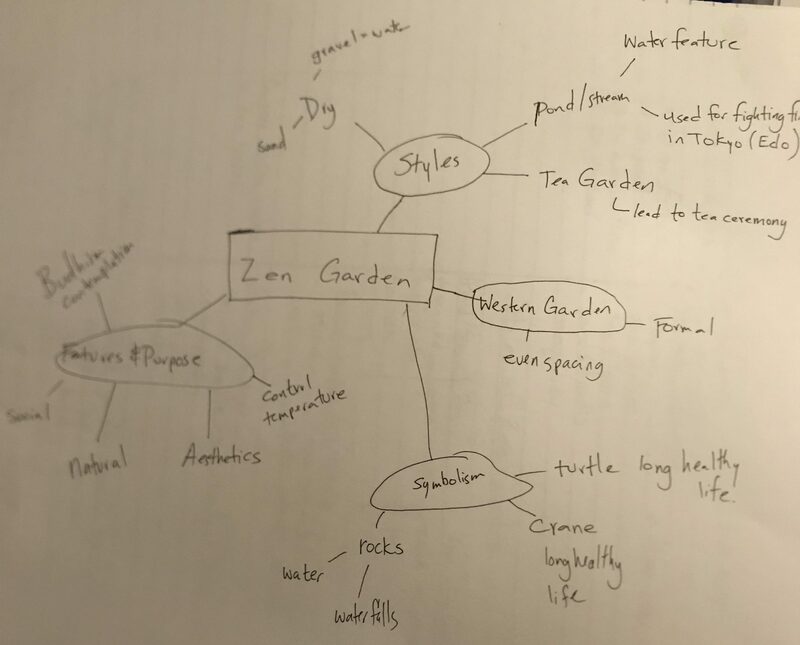 Outlines are geared mostly to students who are more advanced, however, with some notice, providing word blanks for outlines can help some students learn the style of outlines and connect to the text. While outline notes are primarily a word driven system, it does not mean appropriate illustrations do not belong here. If a specific graphic explains details, provide space to put in those illustrations as given from a text book. These notes are a bit more time consuming and definitely are the result of a second or third draft of notes. Visual notes can incorporate art, font style, and bullets. The title font style is usually attractive. Bullets are often different for different sections. Color can be helpful, but is also a part of refining notes later. 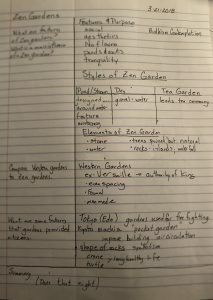 Students often get bogged down in style here, but this style of notes is also about visual presentation. Think of this style of notes as a mini poster. Another challenge here: spacing. But this is where support with technology can help. Using the table of any word processing software, you can create bullet sections that can easily be cut out and pasted on the final draft. 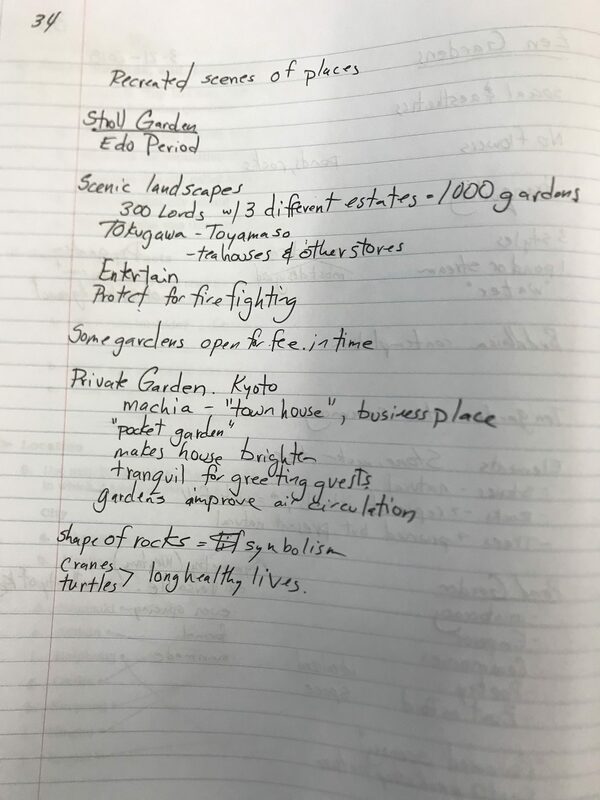 Providing each block an ability to have different font size, emphasis, and bullets is a very easy way to help make these notes really stand out. Sometimes it works out. Sometimes it doesn’t. Pass your notes, any draft, to the next paraeducator anyway. Maybe they have more flexibility with their students to take that second crack at making the notes into a format. It’s that time of year when co-workers, even well-meaning co-workers, just find that they have less patience. Take your breaks. Walk away. Use your strategies to stay cool when you feel that tension rising. If you’re not feeling stressed, ask a co-worker if maybe you can help them out for a few minutes. Like in families, paraeducators at this point in the year typically have figured out where they are in the ‘family’. The new ones have found a spot where they can thrive, the more senior staff continue to lead. But all too often it’s forgotten that our roles are to help each other out as much as we help the students. We’re off for Spring Break! Don’t imagine beaches, snowy white drives, or exotic locations for us though while we’re on Spring Break. We’re doing some massive data recovery and trying to finish a few books towards publication this summer. We have five books that are very close to being ready for editing and we cannot wait to share them with you. ParaEducate returns from Spring Break on April 12. We’ll be back April 12th! Do you have any comments about this week’s blog? Do you have a question for us? Would you like to be a guest blogger? Would you like to have an opportunity to pilot some materials at your campus? Find ParaEducate online here, here, here, here, and on our website. Paraeducate is a company interested in providing materials, information, and strategies for people working in special education inclusion settings for grades K-12. ParaEducate, the blog, is published weekly during the academic school year on Thursdays, unless a holiday. ParaEducate shares their findings at conferences, through their books, and their academic adaptations. This entry was posted in #TeamInclusion, 8 hours, blog, Campus, Disabilities, Notes, OT, ParaEducate, paraeducators, Professionalism, Resources, Skills Lesson, Students, Support Services, Technology, training. Bookmark the permalink.